Selected by SuperLawyers as a 2015, 2016 & 2017 Rising Star in Estate Planning & Probate, an honor that only 2.5% of attorneys in the country receive. Today, Mr. Rasmussen has devoted his practice to assisting clients with Estate Planning, Asset Protection, and Elder Law issues. The objective is to provide the most cost effective method for achieving a client’s overall financial goals, which also considers possible future impacts on family members and taxes. After extensive experience, he has developed a unique perspective on the Estate Planning needs for each client. Because no one person is the same as another, he believes that the best Estate Plans are tailored to the individual and to their specific circumstances. Mr. Rasmussen is, therefore, committed to serving as a guide for his clients. His firm is designed around the mission of helping families to navigate through the often daunting complexities of Estate Planning. Corey prides himself on minimizing or avoiding the nightmare of probate and, most significantly, to deliver well-crafted Estate Plans to clients based upon their lifestyles, professions and specific needs for their situation. Corey has years of experience working in Estate Planning, Business Succession Planning, Probate & Trust Administration, Asset Protection Planning and developing client relationships. Corey works with financial advisors, CPA’s and other professionals to help meet the needs of his clients. He is also known as a valuable resource for continuing education, informative and education seminars and has been a guest speaker on these topics including being a guest speaker on KMBZ and NPR. 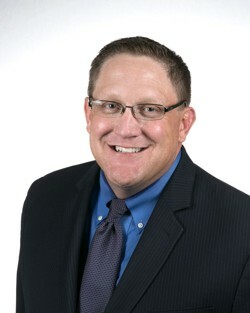 Corey began his career as an external auditor for the Kansas City office of KPMG performing audits on several of Kansas City’s largest and most prominent companies. He earned his Juris Doctorate from the University of Tulsa School of Law emphasizing in Estate Planning. He also holds undergraduate degrees in accounting and finance, as well as a Master’s degree in accounting from Kansas State University. He also has a minor in Economics from Kansas State University.